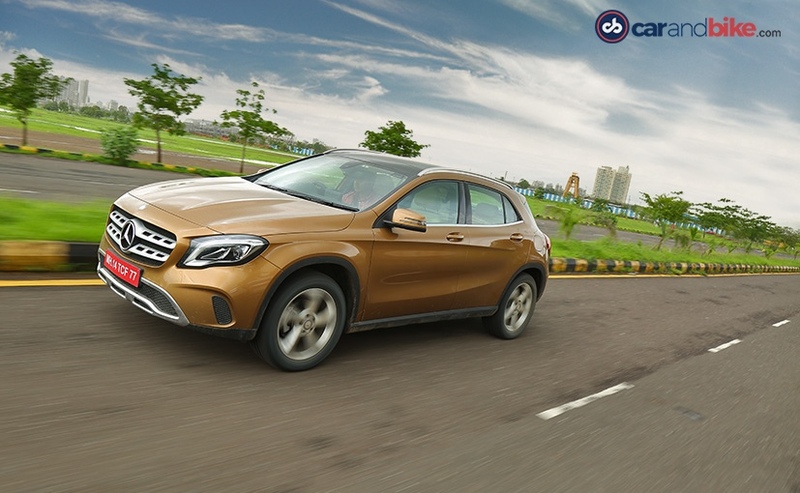 Mercedes-Benz with the GLA targeted a segment, it wasn’t really part of. Frankly it didn’t have any competition for the likes of the Audi Q3 and the BMW X1. 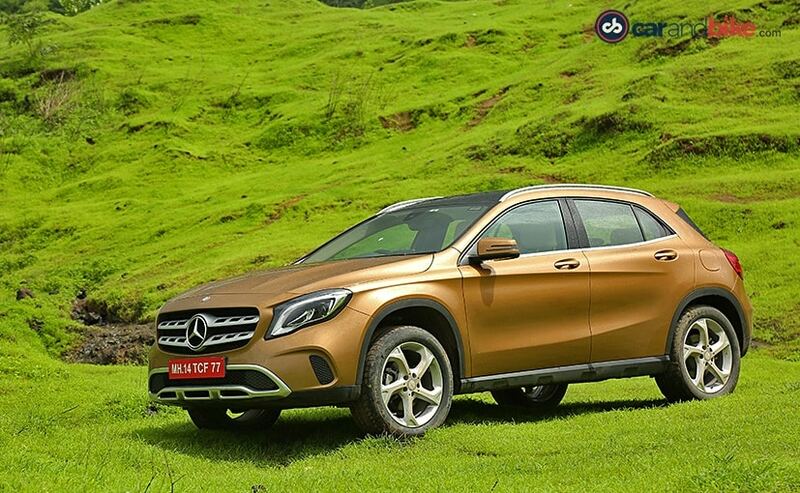 But when the GLA was first launched in India, most dismissed the car as an A-Class on stilts but Mercedes-Benz knew the potential of this car and the facelift finally made its public debut in January 2017 at the Detroit Motor Show. A little over six months and it’s all set to launch in India. Now, let me make it quite clear; this is probably the mildest of facelifts you’ll see on any car but there’s a lot that’s new. 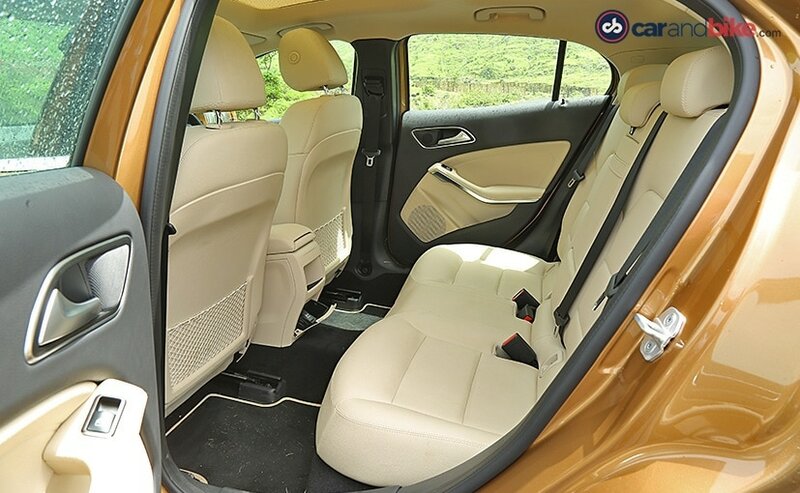 To begin with, the front and rear bumpers of the car are new, they’re reshaped and this has helped it look less like a hatchback and more like an SUV. There’s a simulated underguard in bucket-tooth design with silver chrome in the front bumper. 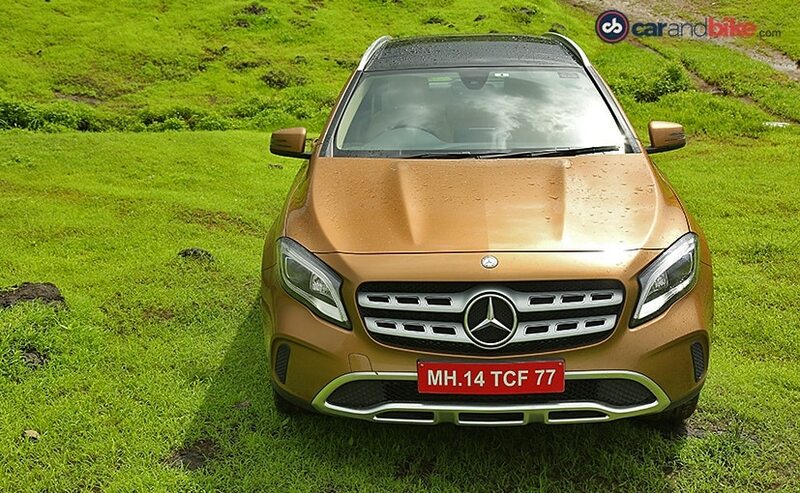 It also gets what Mercedes-Benz calls ‘Powerdomes’ on the bonnet and all this adds to the muscular look of the car. 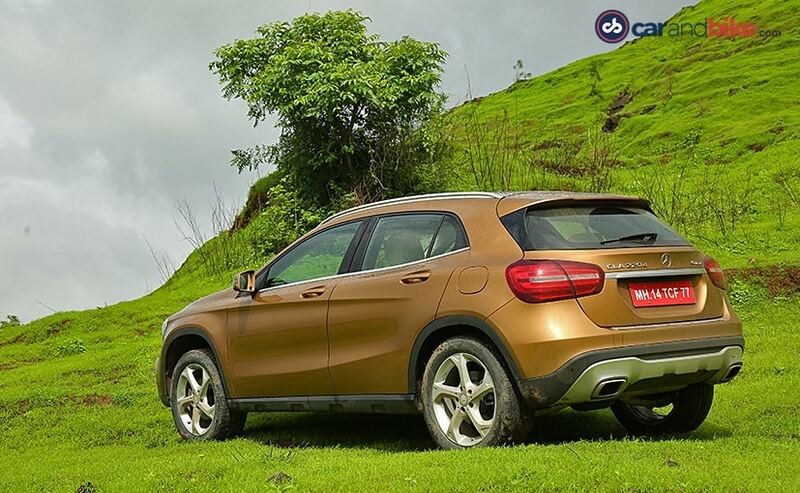 Yes, for those who might have already noticed, the entire stance of the car has changed and it’s looking more like a baby GLC rather than an A-Class and that’s because the GLA now offers higher ground clearance than before and that’s 30 mm more (210 mm in total). The LED DRLs continue, but the bi-xenon lights are now replaced with LEDs which are standard across variants and a welcome change. 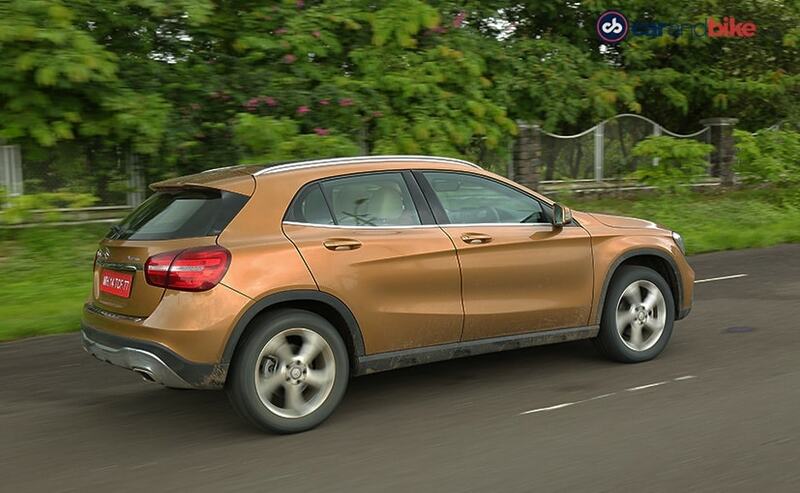 At the rear, the tail lamps too bear similarity to the ones on the GLC and they too are LED. While majority of the changes are on the outside, the cabin is carried forward from the predecessor. It features the 8 inch multimedia system (no it isn’t a touchscreen) and gets an integral CD drive for both MP3 and WMA/AAC files. The multifunction steering wheel comes in handy to help you gain control of all the operations of the infotainment system and there’s also an integral telephone keypad, a Bluetooth interface with a hands-free function and an Aux-in and USB socket in the stowage compartment. It also comes with smartphone connectivity and so there’s Apple CarPlay as also Android Auto. The connection to the smartphone allows access to up-to-date software and data such as navigation and traffic information, media (Streaming Media and IP Radio) as well as contact data, telephony/FaceTime and messaging. While all these are new, the boot space remains the same at 421 litres and with the second row down there’s 1235 litres of space on offer. 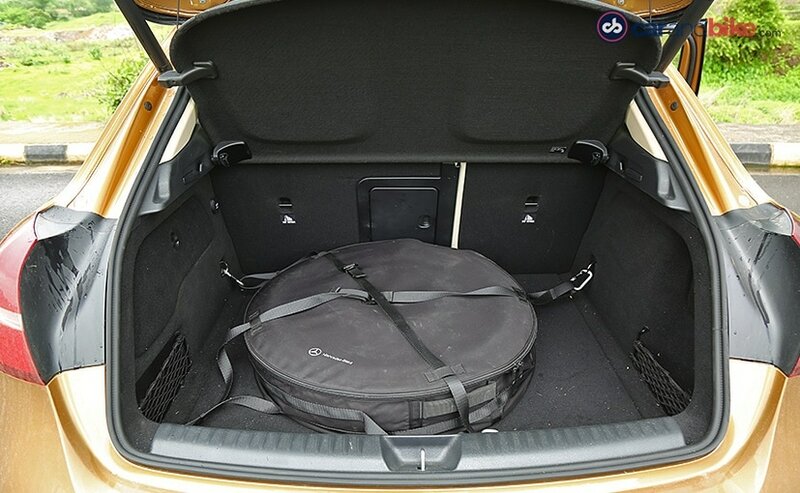 But, if you plan to load up the boot, you will have to choose between your luggage and the space saver. There’s also no change in the wheelbase and hence for people as tall as me (6 footers) this means cramped space at the rear, which is why I got into the driver’s seat.